Mobile technology has made great strides in the past few years; however, many people still struggle with the complications that arise due to poor cellular reception. While those living in rural areas or working in large buildings tend to experience the most problems, almost every cell phone user has had some issue with a poor or non-existent signal. Fortunately, digital repeaters can be used to boost a cell phone signal while also offering you the following benefits of having reliable cell phone coverage. The signal strength your cell phone can receive will vary according to your location, the type of building you are in and the amount of other users in your service area. Digital repeaters can increase your signal range through the use of an antenna that redirects the signal to an amplifier located in your building. 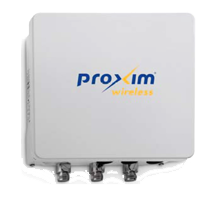 With a properly installed cell phone repeater antenna, you can increase the signal range to include all areas of your building while allowing multiple users to enjoy increased signal strength at the same time. According to Pew Internet, a recent study showed that 72% of cell phone users reported experiencing dropped calls, and 32% of these users claimed that these dropped calls happened multiple times a week. When added up, these communication interruptions can contribute to a loss of productivity and could prove to be devastating in an emergency situation. A digital repeater can stop dropped calls by ensuring that you always have access to a reliable signal. In addition to fewer dropped calls and a larger range where you can receive a signal on your cell phone, there are additional benefits for those who do more than just talk on their phones. A stronger cell phone signal will allow you to enjoy faster speeds while downloading information. Additionally, cell phone users can experience longer battery-life when the phone does not have to work as hard to find a signal. Installing a digital repeater will enhance your cell phone signal so you can enjoy the freedom that accompanies the use of mobile technology. Not only will you enjoy greater mobility, but you can also expand your signal to include multiple users within your home or office. With an increased cell phone signal, you can then streamline your work and communication processes so that you can get the most out of your cellular plan.